Volume Edited by Andrea Mubi Brighenti & Mattias Kärrholm. Published by Routledge – Classical and Contemporary Social Theory Series, 2018. In recent years, an increasing number of separation walls has been built around the world. Walls built in urban areas are particularly striking in that they have exacted a heavy toll in terms of human suffering. At the same time, however, homeless and displaced people, unprotected by any walls, often terrorised by irregular militias or evicted by the state police, have likewise endured terrible ordeals. From time to time, walls are invoked, promised, contested, challenged, struggled over. They can be protective, but the protection they grant is always selective to a significant degree. Not only does the fundamental ambivalence of walls seems intrinsic, but the spatial functioning cannot be reduced to a black-and-white picture – walls as either simply ‘good’ or ‘bad’. This collection invites to inquiry into the complexities of the social life of walls. Urban and urbanised spaces are here observed as veritable laboratories of wall-making, places where their consequences become most visible. 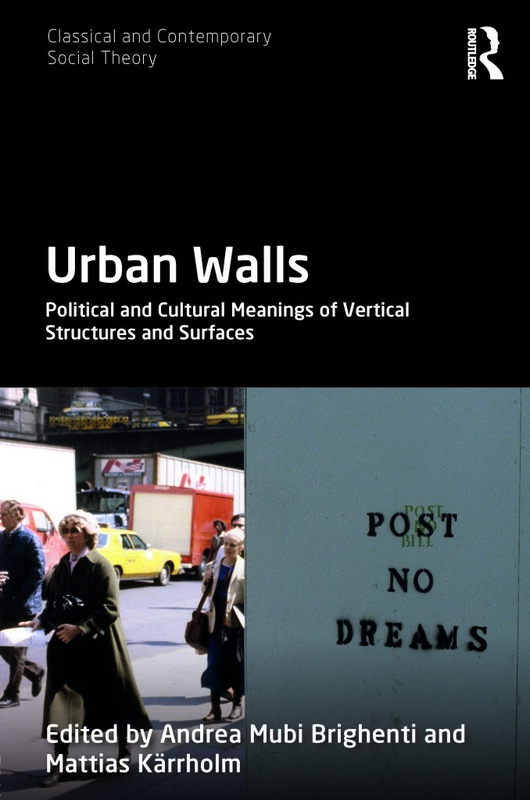 In perspective, the essays collected here also invite to consider how urban walls today extend into media spaces, drawing a complex geography of separation, connection, control and resistance.